Yap Chuan Bak Kut Teh @ Puchong – BEST Dry Bak Kut Teh? Bak Kut Teh is a wonder in itself. Best to be served for breakfast, the “Meat Bone Soup” (literally translated) also qualifies as a substantial lunch, or even a most heart warming dinner. How ’bout serving it round the clock, I was left wondering? Is there any place in Malaysia that serves Bak Kut Teh (BKT for short) for 24 hours? Now that would be a pleasant substitute to ‘mamak’ food after those glitzy & glam partying hours. 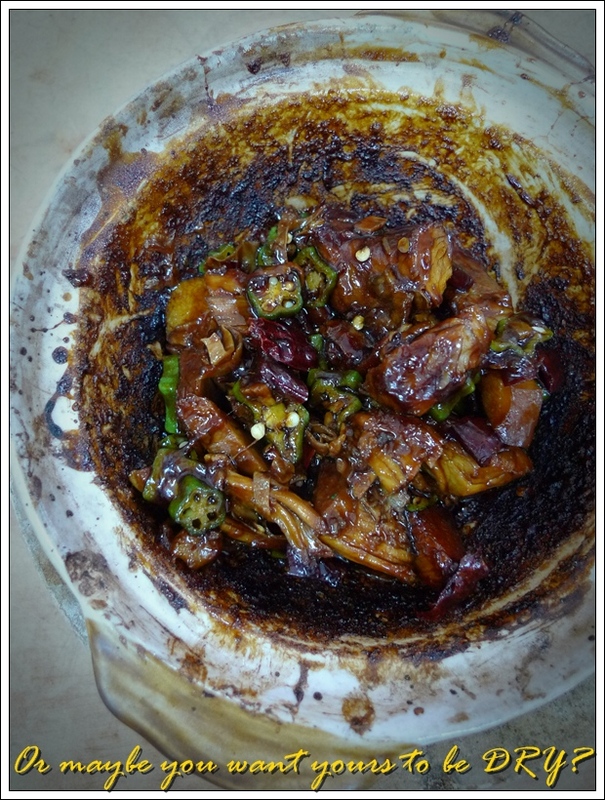 You get presented with a bubbling hot cauldron of the most carnivorous of picks; The ribs, the large and small bones (ask BKT aficionados and you’ll learn), the 3 layered-meat (pork belly), the offals (innards, or spare parts, if you would), and an assorted amalgam of optional sides – The beancurd sheets (Foo Chuk), the enoki mushrooms (Kam Cham Koo), some with lettuce, and some even with …. chicken feet !!! Bak Kut Teh served in a claypot – The most traditional way? Or revamped version of the true blue authentic ones? Born and bred in Ipoh, and subsequently having my palate trained, sharpened and spoiled by amazing Ipoh food, I was raised to perceive BKT in one way only. The boring soup version in claypots, served with plain white rice and maybe a side dish of blanched greens with shallot oil. Nothing more nothing less. Which may be the reason you don’t see me write a lot on Ipoh’s Bak Kut Teh. (Only one post before, but that also originated from the mecca of BKT, Klang). For I always find that Ipoh’s standard of BKT pales in comparison to Klang’s. And trust me I have tried quite a number of Ipoh’s best creations – The one in Pasir Puteh near to Kek Look Seah temple, the one near to Ave Maria Convent/MSG (now moved to behind Nine Emperor God’s temple), and the one near to Sun Yuan Loong near to Jalan Bendahara. Then the waves of BKT experiences flooded over me. The DRY Bak Kut Teh, the supposedly original version served simply in porcelain bowls, the ones with seafood as ingredients, and even the ones in a much lighter broth (almost like clear soup, or Ching Thong) opened up my restricted perspective on BKT in general. Yap Chuan of Puchong has piqued my interest for some time now. Appearing in TV shows, food blogs, and even personal recommendations. But I was skeptical. How can the BEST Bak Kut Teh be making its round in Puchong instead of Klang?! Atrocious. Only to be silenced in the most pleasant of ways. The Dry Bak Kut Teh was done to almost perfection, hands down the best version I have tasted, compared to even Klang’s version. Not that I have tried them all, but Yap Beng and Klang Lek did not cook up such a storm in a claypot for two occasions each. The soup version in claypots was good, with balanced flavours and the soup thick enough (though die-hard fans of BKT still swear by the darker, and murky version served in bowls) to render the BKT a commendable effort in my books. Though far from the Klang versions that I have grown fond of. Of course, nowadays, serving BKT alone just won’t cut it. For people tend to crave for something else to complete their meals. Sides of braised meats, offals, greens, and even fish dishes making rounds. From Assam Fish in claypots (I think Yap Keat and Good Taste Chef serve them), to steamed fish. Yap Chuan does a rather sumptuous version of steamed red snapper, a little different from the norms for the fish was steamed with a tangy and sweet sauce, with the most unconventional of garnishings. Pickled onions, like those served with murtabaks, with a whole halved lime for optional zest. 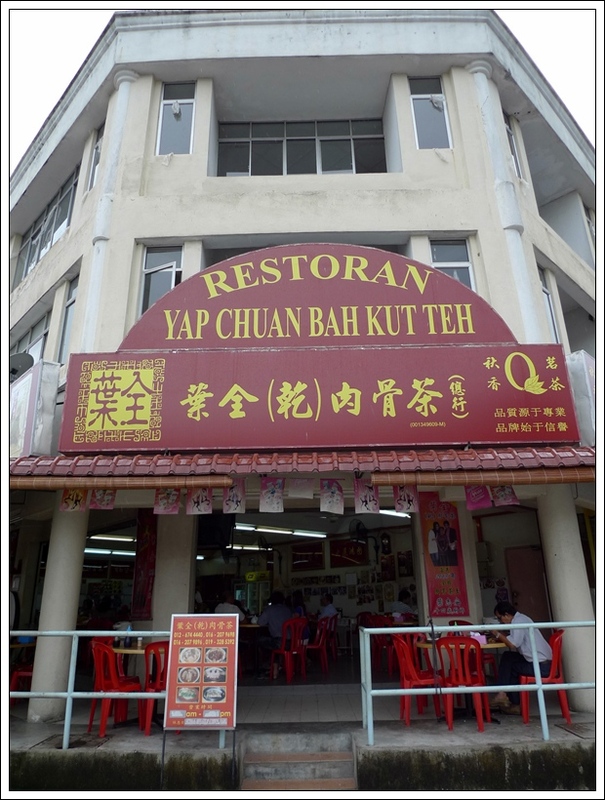 Yap Chuan Bah Kut Teh Restaurant (www) – Opens from morning until night daily. On the whole, Yap Chuan serves one of the BEST dry version of Bak Kut Teh out there, and a passable soup version. I’d rate this a “recommended”, in case you’re wondering. No ratings still, albeit the countless requests for me to summarize my long-winded review in a 5 stars rating system. Aiks, I’m not a food CRITIC ok? Just someone who loves his food, so there. Tel No : 6012-674 4440 or 6019-328 5392. Opens daily from 9.30am until 9.00pm. Some other BKT fans of Yap Chuan’s – Vkeong, Joe, Gourmet Sharing, Jasmine and EatingAsia. Still wondering how BKT tasted….. must go Msia to try it!!! 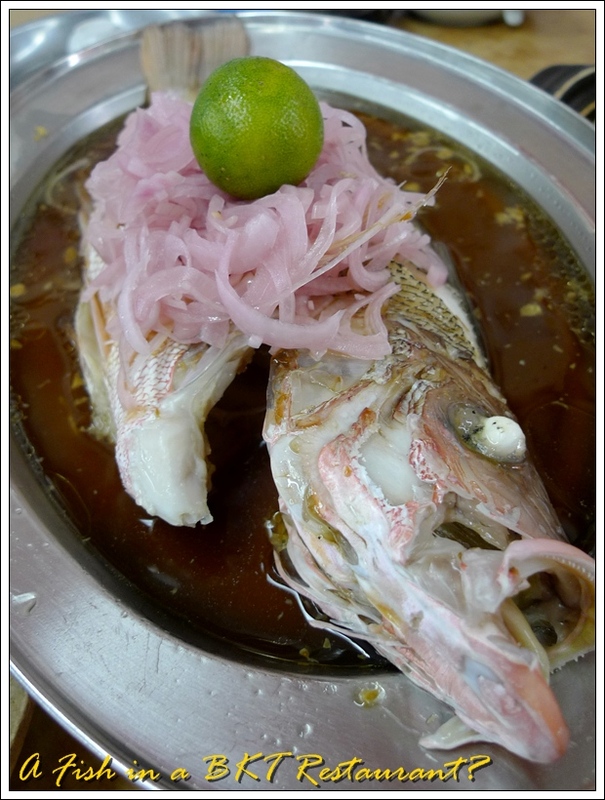 .-= KY´s last blog ..Seafood on stilts, Gee Seng, Tambun Penang =-. Oh, so they do have 24 hours outlets in Klang? Interesting. I like BKT on those cold, rainy mornings. .-= iamthewitch´s last blog ..Hong Kong Day 6 – Disneyland and more! =-. Yeah, nothing fanciful about eating cuts of pork from a burnt, charred and unsightly claypot. been trying to search for this place one time but couldn’t find it… was driving another car without GPS 🙁 was in a hurry too so had to give it a miss… sigh!!! Yeah, do make a comparison. Batu Caves is a little out of the way for me, for I never ventured that far for food. Not even Pan Heong. Hehehe … But I just might. 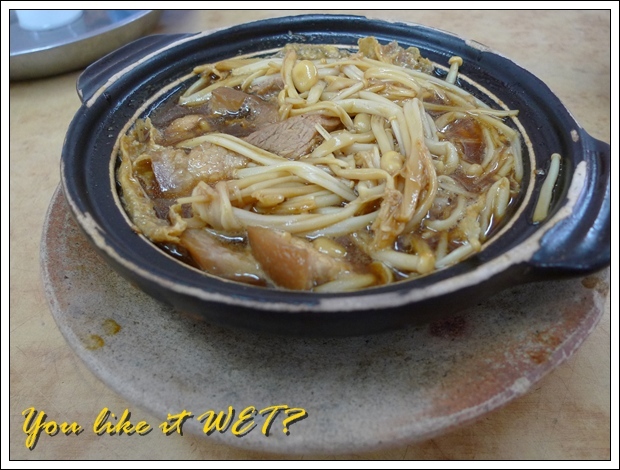 enoki mushrooms in Bak Kut Teh….. perfect match……. .-= PenangTuaPui´s last blog ..Syphon Brew Coffee at Coffee Lane, King Street Penang =-. one of the best dry BKT. Yap Chuan has to be Puchong’s most well known BKT outlet. .-= ck lam´s last blog ..Shangri-La’s Rasa Sayang Resort & Spa 2009 Charity Christmas Tree Launch =-. The dry BKT looks stuck to the pot. And burnt. Maybe that’s their secret, to boil the gravy till its dry so that the flavours are super concentrated and will give a punch. Sigh! Over here, in ipoh, the only decent dry BKT I know of is along the Kinta Medical Centre road, which is off Jln Kampar, the same row with a vege restaurant. .-= ahlock´s last blog ..Does High Cholesterol REALLY Cause Heart Disease? =-. Yup, they do cook the gravy until all dried up, to enhance/concentrate the flavours. That one has moved to a shop behind 9 Wong Yeh (Nine Emperor God) Temple. The rain is here again after a respite (traffic crawl) for a few days and its good time for BKT. 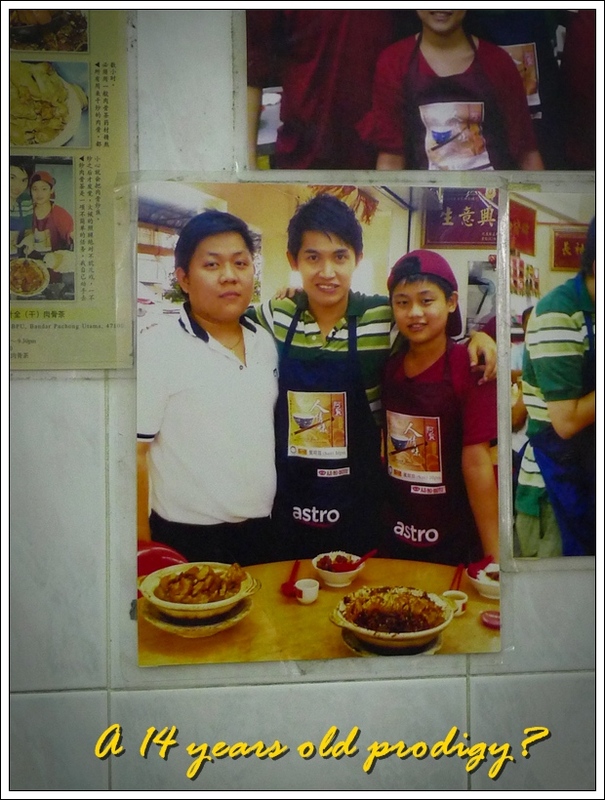 This famous Puchong joint I have not been but then there are others in Pusat Bandar Puchong…. Puchong like, Subang, has become a sought-after location for BKT outlets, it seems. .-= Life for Beginners´s last blog ..Beijing: A Prelude =-. OOooooo …. Must give this place a shot since so many people praise them. .-= email2me´s last blog ..Restoran City Star =-. oh,,,, i love dry bkt, i can have 2 plates of rice with it!!!! PS: why majority bkt sellers have surname of “Yap”? Hi J2Kfm! Great post on the Yip Chuen Bak Kut Teh! Hi jianchung, okay will do. YUM YUM!!! tried the dry bak kut teh in Tmn Segar? Yes dry Bak Kut teh is now in CHERAS!!! And I thought I either have to eat it in Klang or Puchong. Yap Chuan was fabulous but you should try this. My son loves it so much. I got to know it when I ate at kaki bola fish head which is just next to it. You remember what’s the name of the restaurant? Actually you can find dry BKT everywhere now, even in Ipoh also got 3 places that serve them. I actually got a namecard from the ladyboss. The name is Restoran Xingang. Btw its airconed. Very2 clean ……not the usual kind you see in Klang. And I think the price not bad. Restoran Xingang in Cheras? Okay …. thanks. I will make a note of this.